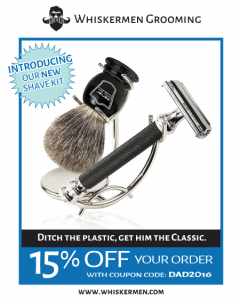 Whiskermen Father's Day Sale! From now until Father's Day we are offering 15% off your entire order! 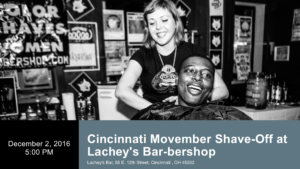 Whether you father is a seasoned Whiskerman or Daily Shaver we have you covered! 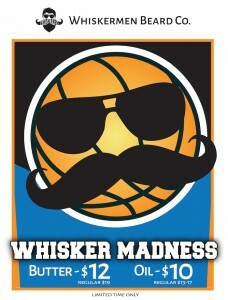 www.Whiskermen.com *Use Coupon Code DAD2016 at checkout. 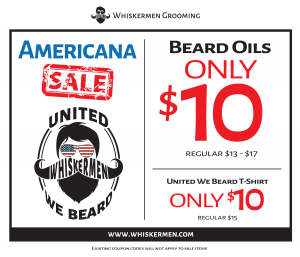 Whiskermen – United We Beard – Independence Day Sale! Whiskermen - United We Beard - Independence Day Sale! 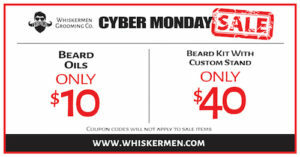 All Whiskermen Beard Oils are only $10 and we put together a great gift kit that includes are custom beard oil stand for only $40. Stock up today! Show Now! Beard Kit with Custom Stand Only $40!